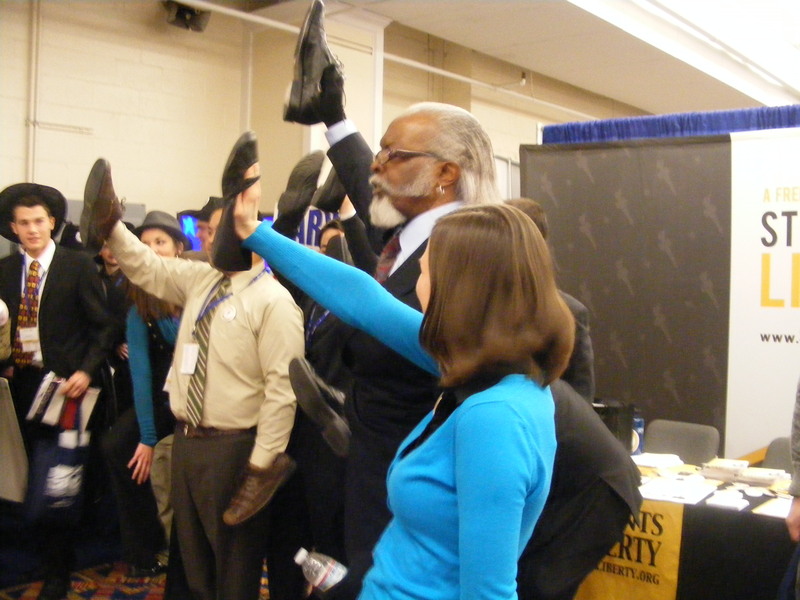 …people swarmed the Sarah Palin impersonator and the Rent is too damn high fellow here at CPAC? When she walked in I was in the lobby and she was IMMEDIATELY swarmed by every person and camera in sight. Media camera hit her as well. What are these people thinking? I know what I was thinking, poor Dana Milbank, even Palin impersonators generate memeorandum stories. Somebody pull him away from the bridge. Another fun thing to do is ask reporters if they want to be interviewed they generally decline which is very funny because as a rule they make their living asking people questions. I understand that Stacy McCain was making conversation with Maureen Dowd while she was trying to get in and that Maureen Down was in full “who are you talking to be talking to me” mode. That doesn’t speak well of Miss Dowd. Anyway that’s what’s running through my head right now. As I noted previously, Mattie Fein had a good showing against Jane Harman when the elections finally came. Of all the Republican candidates that were destined to lose in California (through Republican malfeasance), Mattie had one of the best showings. This, despite having a campaign budget under $50k. This, despite local Republican traitors like Richard Montgomery (Mayor of Manhattan Beach), Frank Scotto (Mayor of Torrance), and John Parsons (former Redondo Beach Councilman) endorsing Jane Harman. Endorsements not made for philosophical reasons, but for cronyism – legal but unethical. This, despite the national establishment sitting on its hands, or even actively undermining their own candidate. Ah but now Harmon is gone, Mattee Fein is now the more recognized candidate, there is a republican majority that looks like it isn’t going anywhere and no other GOP races to take up national funds. If there were two years to generate name recognition for a newcomer in the 36th district, then sure, be my guest. But this election will be held quickly in the next few months. 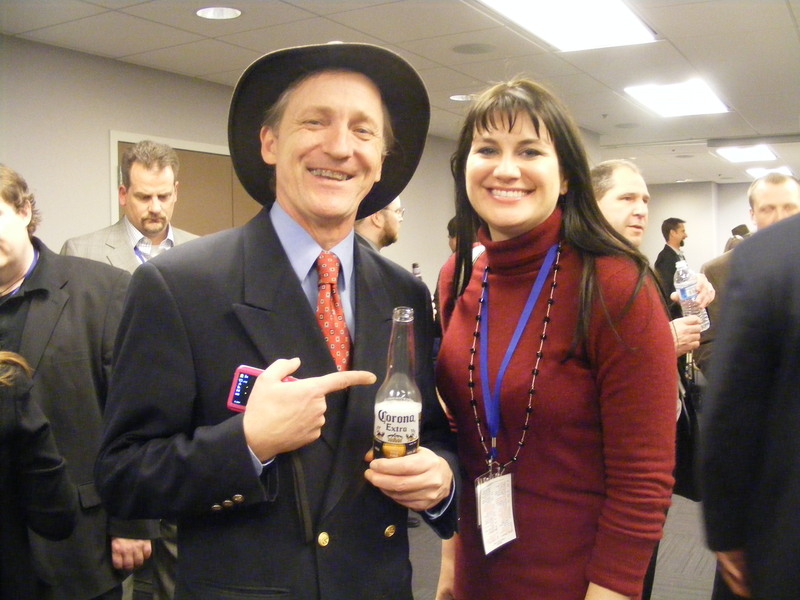 There is no time for starry-eyed dreams of electing a dark horse tea party candidate. I hope saying so doesn’t make Katz withold one of his cigars from me this evening. And if the conservative media – large or small – had any guts, they’d rally the troops for a win in a blue state. There is no excuse now to not do so. There are no other elections at the moment to distract from this one. There are no big news stories except for Egypt, which is in Mattie Fein’s backyard area of study and expertise. This is a test for the national GOP and a test for the party insiders. Will they do what needs to be done? 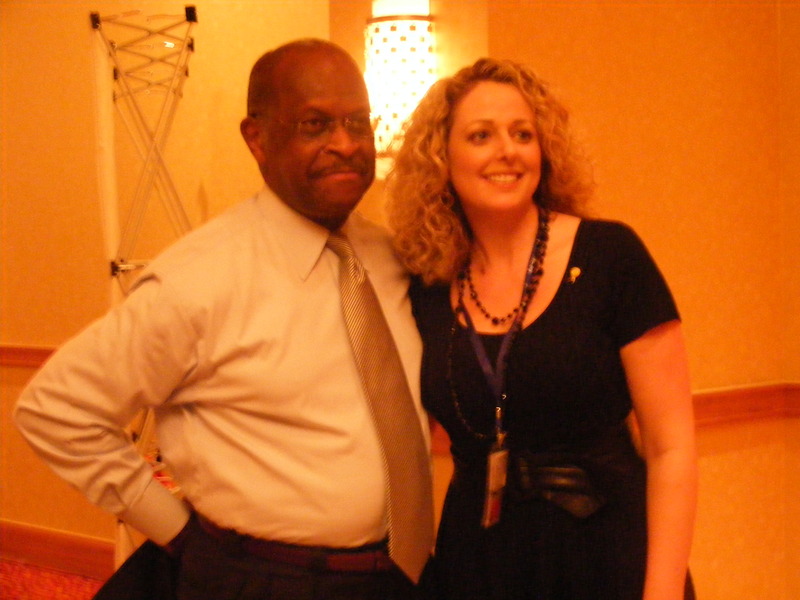 Will some of the new GOP congresswomen stand up for a find lady trying to make a difference? Reince Priebus you are now in charge. Let’s see what you’re made of. The one advantage to not staying in the CPAC hotel is the internet connection. The idea that Maureen Dowd couldn’t get into this room but I was able to get Marty Lamb is was appeals to me. 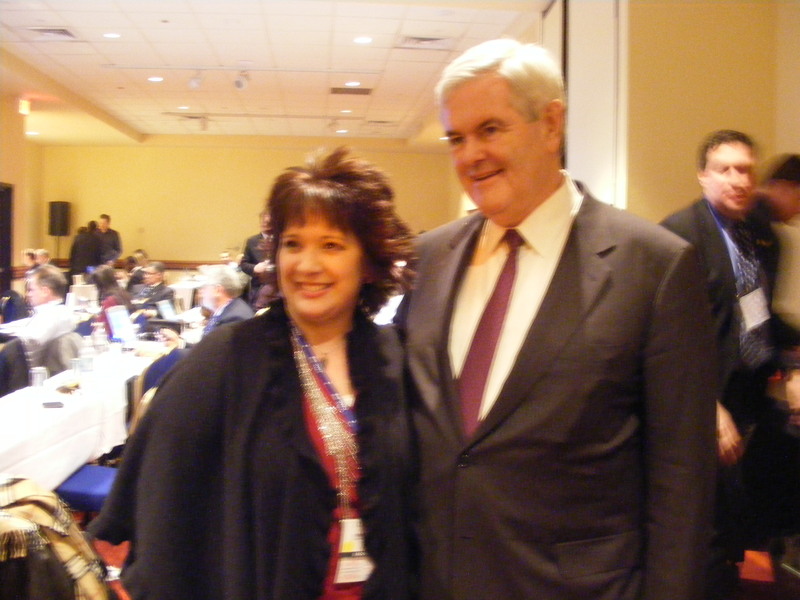 When Newt Gringrich came into the room the MSM waved around him, When Herman Cain came into the room the bloggers waved around him, that tell you an awful lot. There are an inordinate amount of charming young women here that I would like to introduce to my sons. If you want to be noticed by the media, dress in colonial garb. How Tabitha Hale manages to keep all the blogging stuff going is beyond me. The more you talk to her the more impressed you get. I never knew midnight blue is a local elected official. the Largo hotel internet was faster but its kinda lonely being the only cpac guy there. There was a very ironic moment with the Atlas movie last night, I pitched my show and advertising to reach my audience that would be into the movie. They indicated they were look for non-paid publicity. Considering the movie and the topic I found it very funny. What would John Galt say? 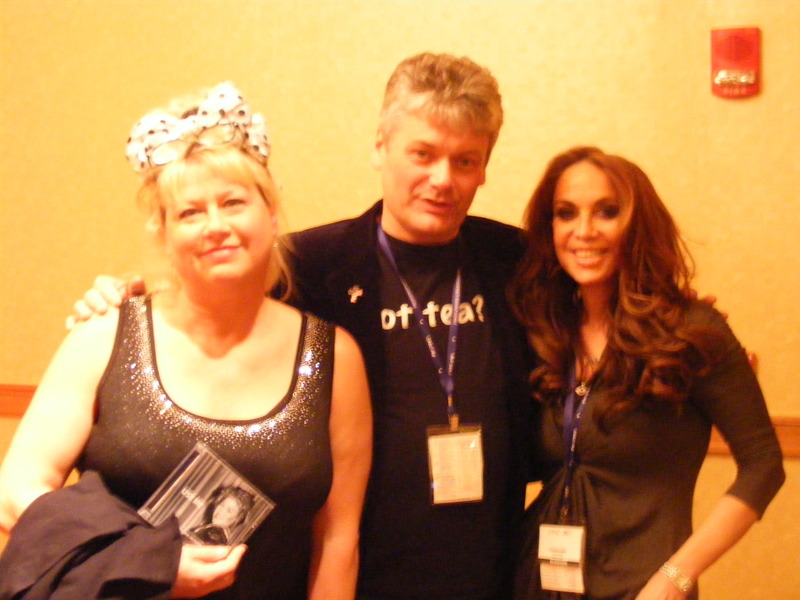 I was very flattered that Victoria Jackson remembered me and said hello first. Today I’m going to spend a lot of time flogging the show. Wish me luck this is the big thing for me here.